Style savant Garance Doré shares her favorite spots in the City of Light. Style savant Garance Doré shares her favorite spots in the City of Light— from the perfect café for people-watching to her must-shop addresses. Above, the Palais-Royal, which is magical in any season. The menu at this Italian restaurant changes each month, so every time you return, you get a little surprise. The vegetables are so fresh, and the chefs feature what’s in season. I always find myself returning to this quaint little coffee shop, tucked away in the 1st Arrondissement. Take a book and settle in for a few hours after touring the bigger sights. Get your brunch fix at this cute hole-inthe- wall in the 11th Arrondissement. The bread basket served with homemade peanut butter is a dream. You can’t go to Paris without stopping at this Saint-Germain-des-Près fixture— there’s so much history! Make like Picasso and order a glass of wine on the terrace. This unexpected bar, hidden in a back courtyard near Canal St. Martin, is great for having happy-hour drinks with friends. There’s an adjacent canteen that serves delicious street food-inspired dishes from around the world, in case your night goes on longer than expected. Cozy ambience plus good food equals my kind of place. The prix-fixe menu is very popular at this “neo-bistro.” If ever it’s full (best to make a reservation), you can go to its sister restaurant next door, Clamato, for fresh oysters and other amazing seafood small plates. The cool speakeasy vibe here reminds me a little of New York. You can order amazing drinks and tacos! I recommend trying the Amor & Deudas if you like a good tequila cocktail. Grab a croissant in the morning, when all the pastries are artfully displayed, or come for afternoon tea. Just across the street is the Claus grocery shop, which is great for picking up beautifully packaged souvenirs and gifts. The perfect place to take a break after exploring the Louvre, this café is where I like to get a light lunch and peoplewatch in the afternoon. At night, the crowds leave La Comédie Française theater next door and spill out onto the Place Colette. If you feel like dancing, head to Le Montana. The hand-drawn wall prints and curved leather booths make it feel very underground chic. I love Lemaire’s designs, and this is the coolest store—from the mirrored ceiling to the low velvet couches—in the heart of Le Marais. This hip new boutique has a great vintage selection—much of it sourced from Togo in West Africa (where the owner is from). It also offers tailoring on-site. So chic! You’ll discover things at Colette you’ll never find elsewhere in Paris. It’s like a living magazine. I go to get inspired— and pick up a few new finds. In my opinion, this is the most beautiful store in the city. It looks as if everything was handpicked by Van Noten himself, and you feel like you could be in his home. The big couch takes up so much space—and any other brand would say, “No! Let’s put clothes there!”—but Van Noten knows how to create romance. What more could you want: a demitasse and some serious shopping— in the same place! This boutique/café carries both established brands (Céline, Balenciaga, Loewe) and lesser-known local designers (Martine Rose, Isaac Reina). With several home categories spread over two floors, you may find yourself browsing this concept shop in Le Marais for hours. The café looks like a library, with bookshelves covering every wall, and its carrot cake is to die for. Walking through the Palais still takes my breath away. You can duck into the shops lining the open lawn. A hidden gem in the 19th Arrondissement, Buttes-Chaumont is best enjoyed by reading a book on one of the benches. I could spend hours flipping through old magazines in this super-small shop. There are also rare fashion and photography books that I find hard not to stock up on. I love how this boutique hotel is oldschool (built in 1854) but located in the cool Haut-Marais. Plus, carpeted rooms with velvet wallpaper? Enough said. For a luxurious stay (and central location), the Bristol is everything you could possibly need. During Fashion Week, it’s where everyone meets (you don’t have to be a guest; have tea and soak up the decor). It has that classic Parisian vibe that I love. 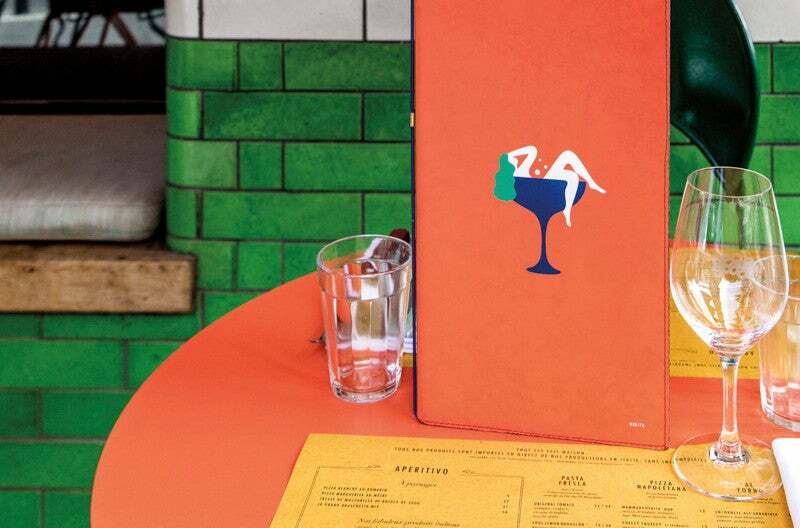 The stylish offerings at The Broken Arm, including a bag by French brand du jour Jacquemus. Originally published December 2016. Updated September 2017.